The classified ads service from eBay can be a great way to sell your product without having to pay the normal fees. 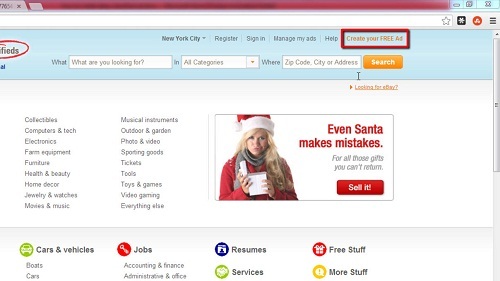 The tutorial will show you how to create ebay classified ad. Navigate to the classified ads site at “www.ebayclassifieds.com”. At the top right of the page click on the “Create your FREE Ad” button. 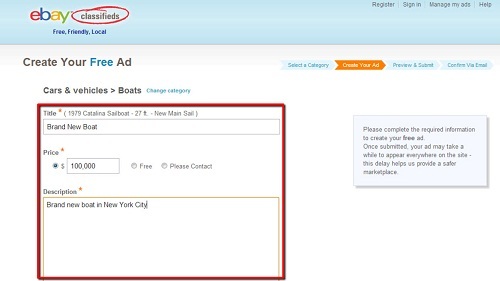 On the new page select the relevant category for your ad. Here we are posting something in the “Boats” section. Enter information about the item, including a title, price and description. You can upload a photograph if you wish. Enter your contact information and click “Preview your ad”. You will be taken to a page that allows you to view your ad just as it will appear on the site. 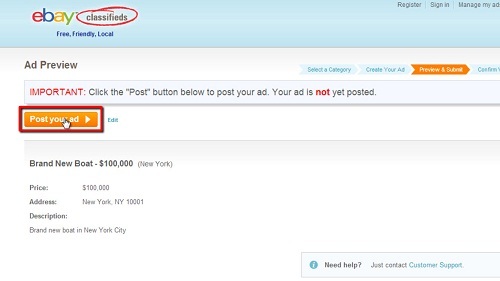 Once you have made sure everything is correct, click the “Post your ad” button. You will be informed that you will need to click a link in an email to confirm the posting. Go to your email account, open the email from “eBay Classifieds” and click the long link. A new page will load telling you that the ad has been successfully posted, you can visit one of the links seen here to see the advert on the site – this process can take up to 24 hours and that is the very simple process of how to create ebay classified ad.